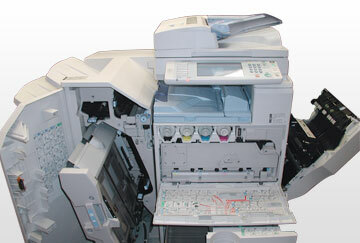 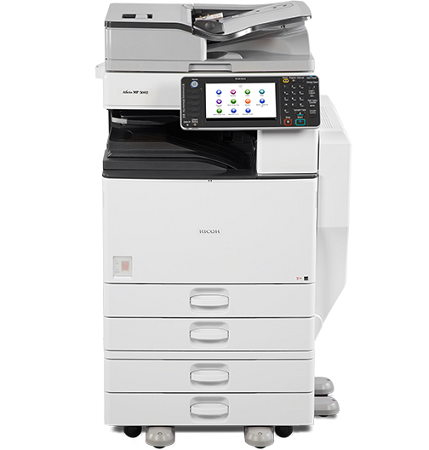 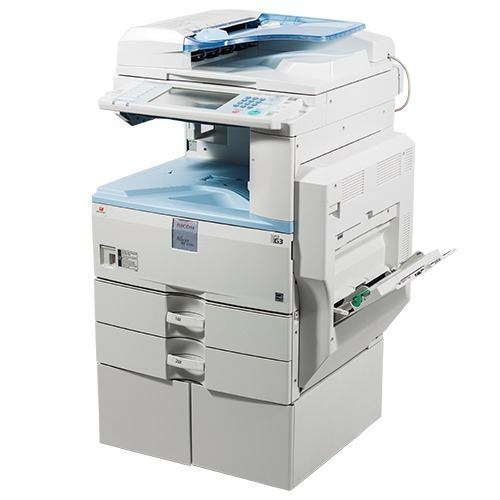 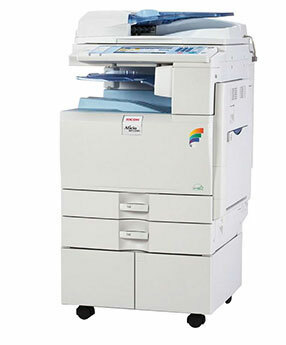 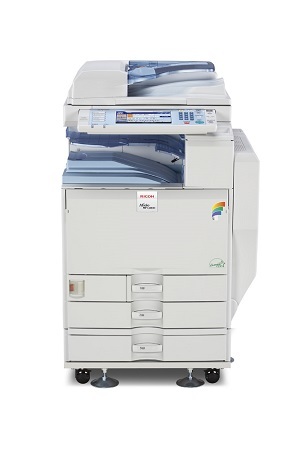 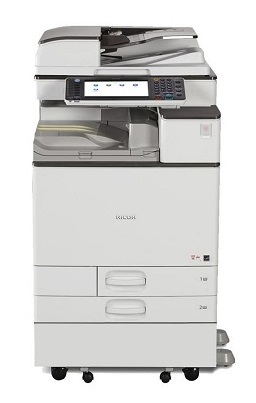 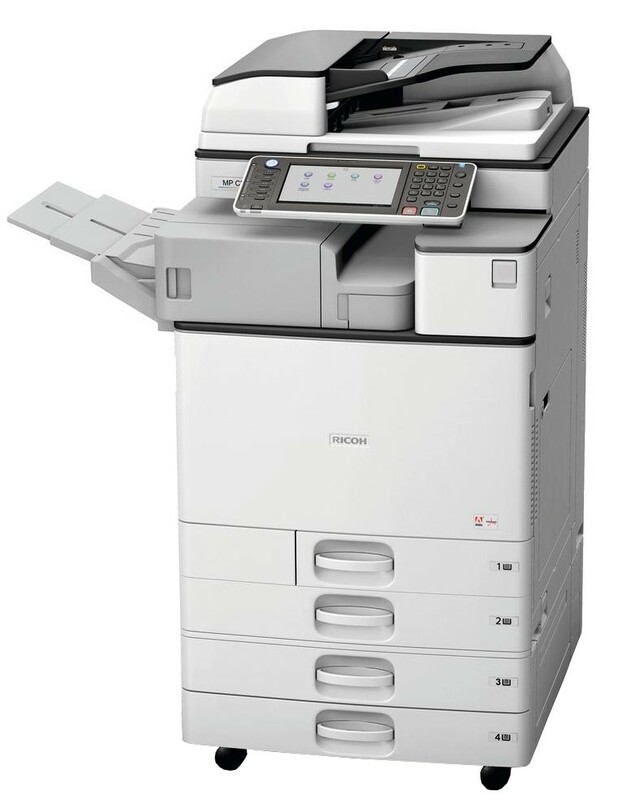 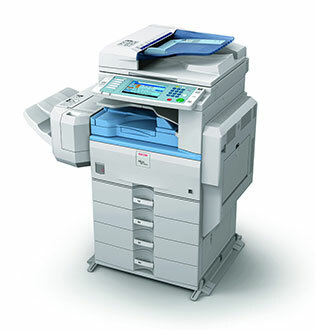 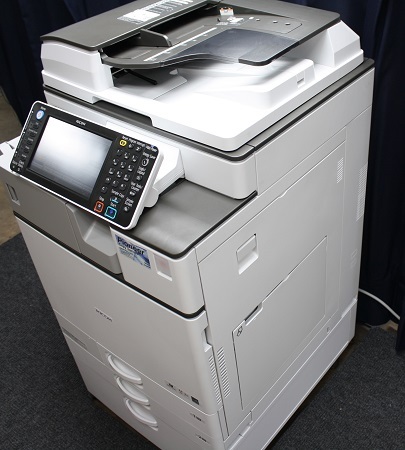 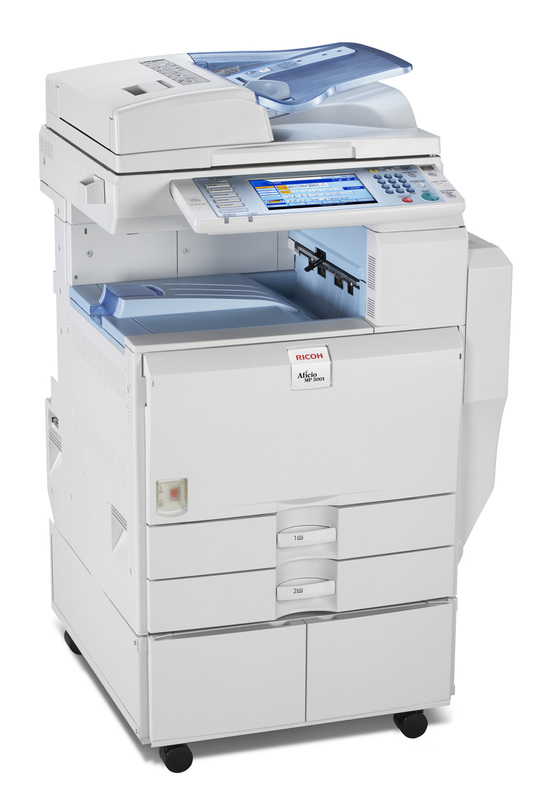 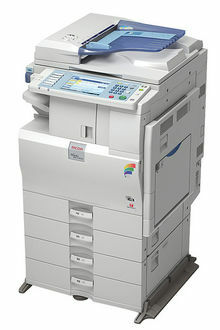 Just off-lease and completely refurbished with low total counter is this award winning Ricoh MPC2503. 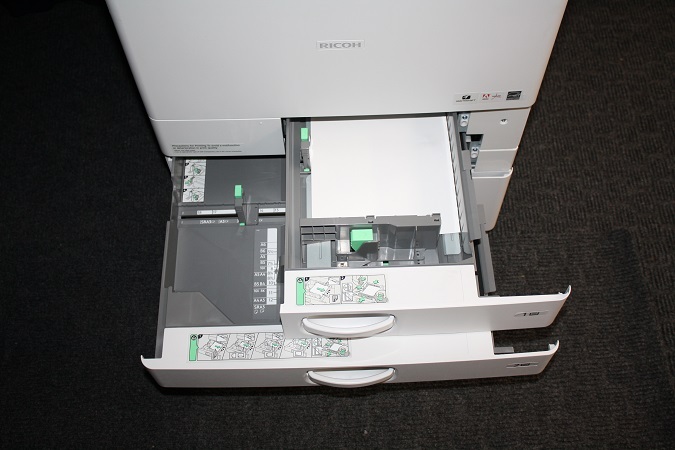 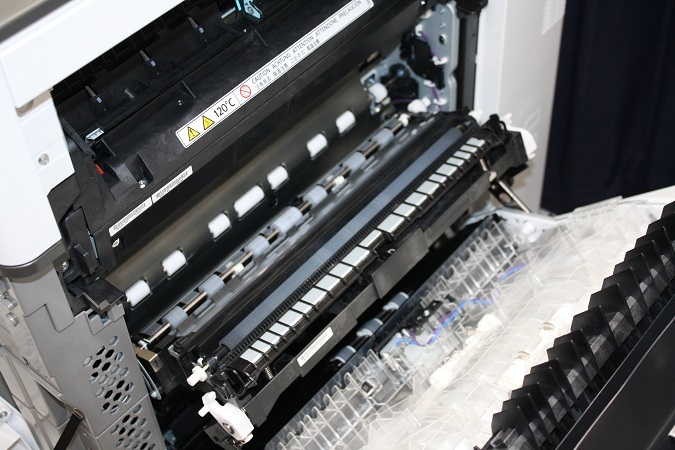 This machine has been completely refurbished inside and out and is guaranteed to look and run just like BRAND NEW! 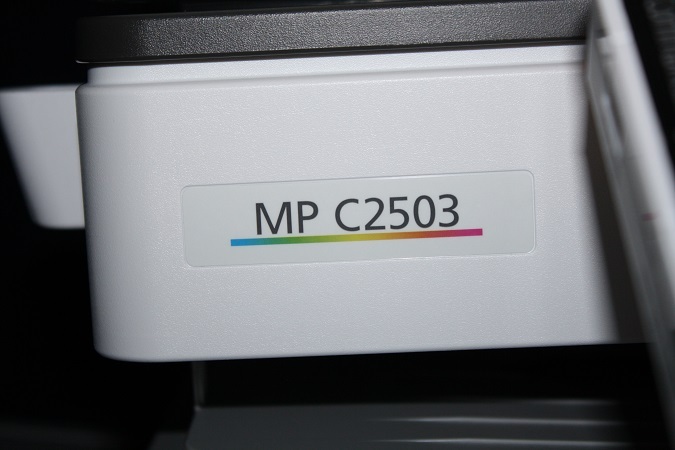 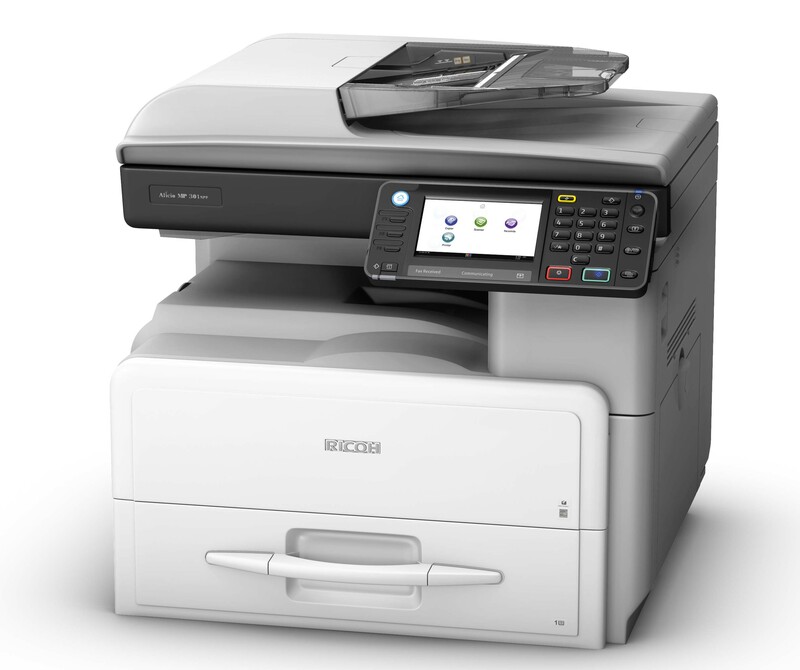 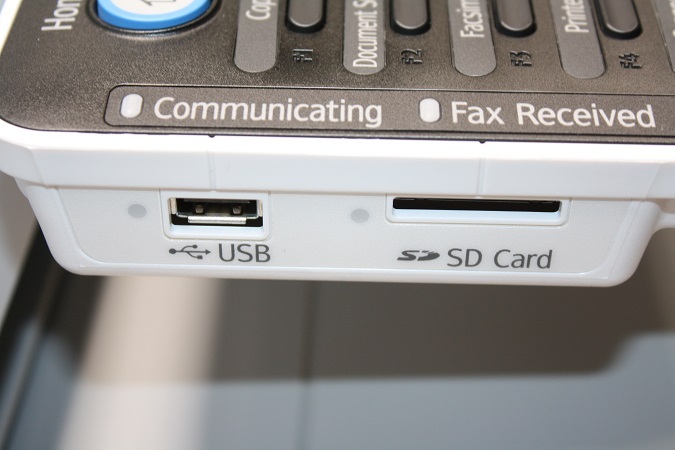 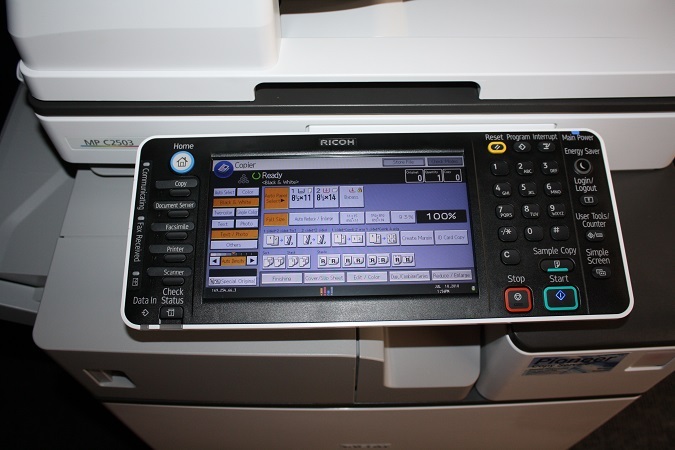 With the Ricoh MPC2503 you can print in vivid color from any computer in your office or print pictures or documents from an SD card, thumb drive or smart phone. 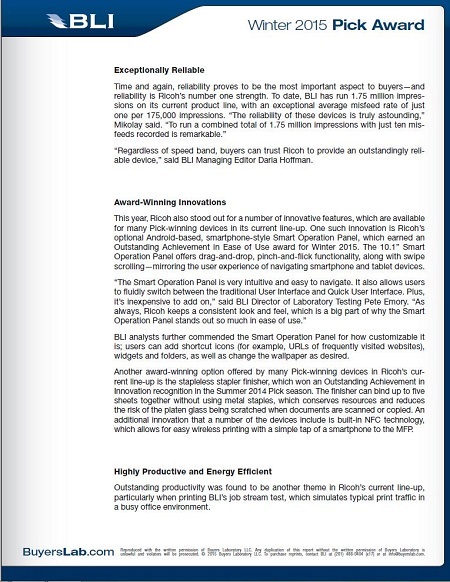 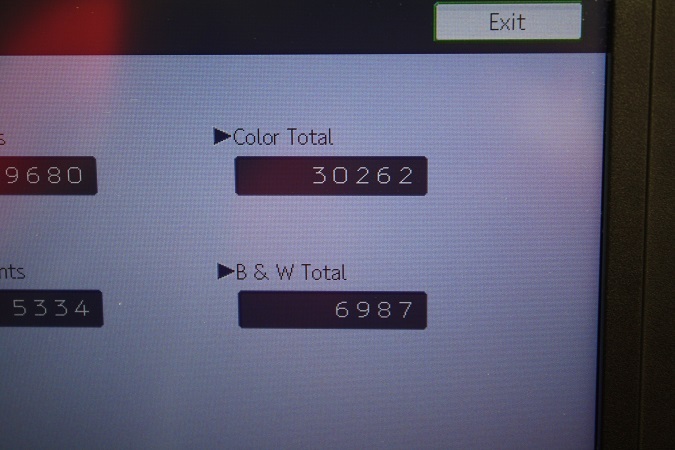 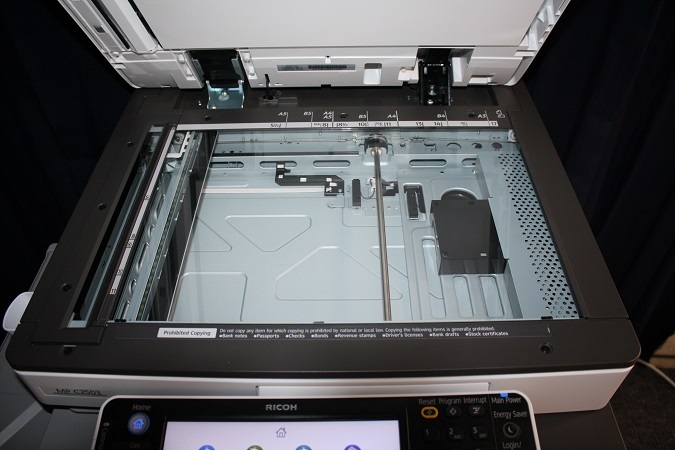 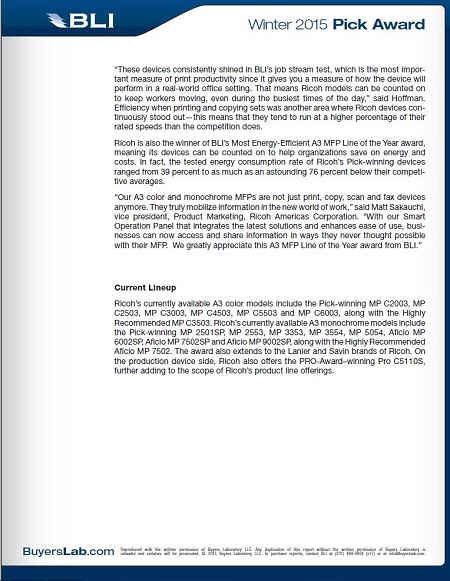 The Ricoh MPC2503 is part of BLI’s “LINE of the YEAR” pick for 2015. 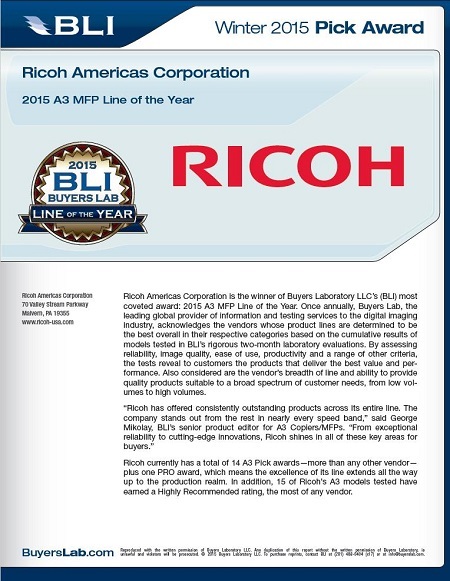 Buyers Laboratory (BLI) completed 1.75 million impressions with the Ricoh line up with only 10 misfeeds! 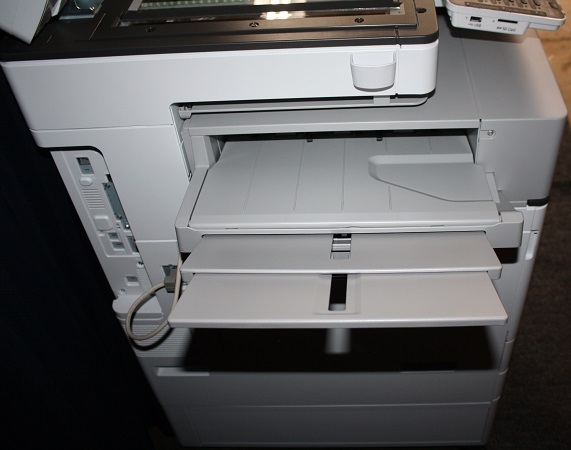 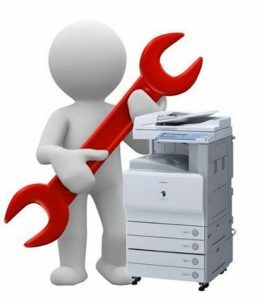 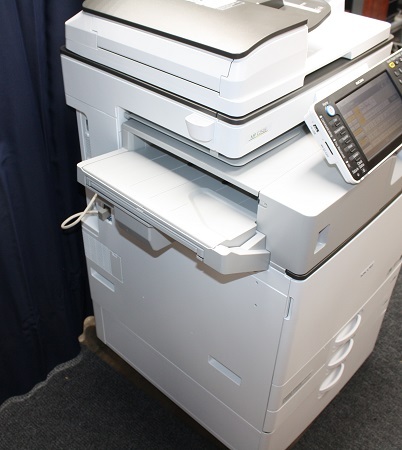 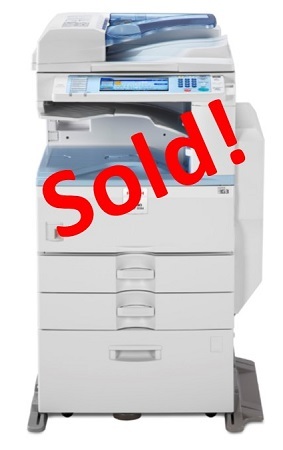 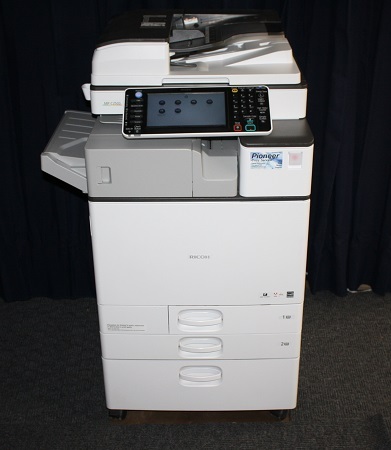 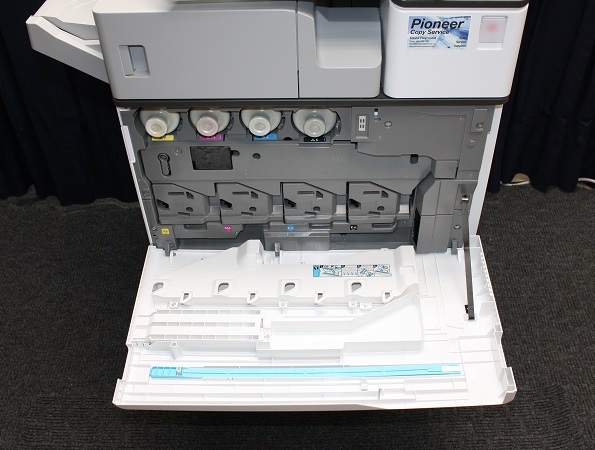 The original price of this copier was in excess of $16,000 but you don’t have to spend a fortune to get the best of the best! 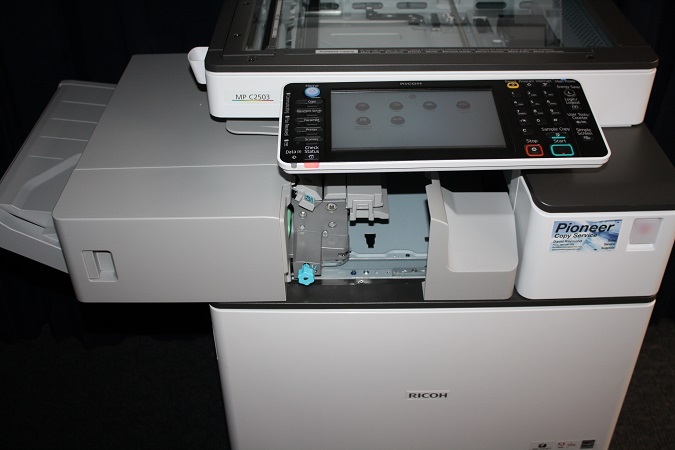 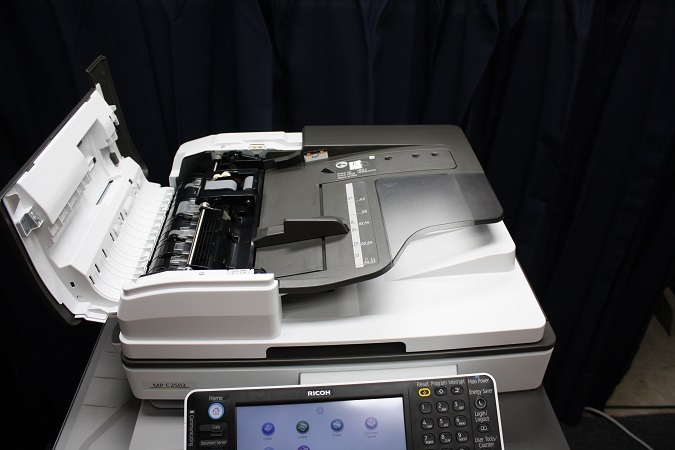 Don’t miss an opportunity to acquire this fully loaded perfect example of the award winning Ricoh MPC2503 refurbished to like new at a great price. 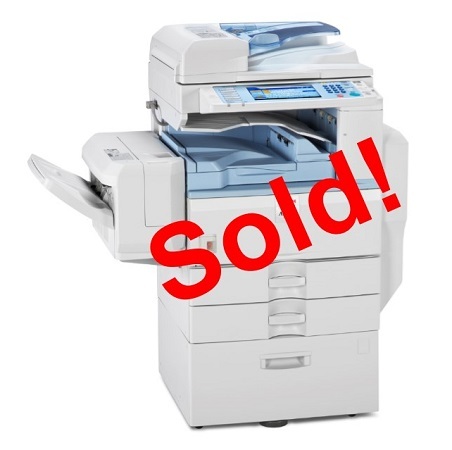 Your purchase includes delivery, set-up and a two month money-back guarantee to make sure you are completely happy.